StAndrews has always been regarded as the Home of Golf, where the game has been played for 600 years. It was always regarded as a game for gentlemen but very few are aware that StAndrews was also the birthplace of ladies’ golf. 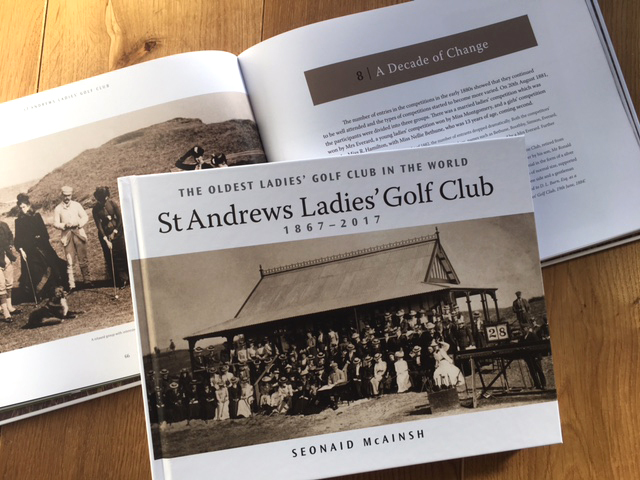 This new book celebrates the 150th Anniversary of The StAndrews Ladies’ Golf Club, the oldest ladies’ golf club in the world. Written by Club member, Seonaid McAinsh, it tells the story of the club’s formation in 1867, its development, struggles and successes. Hot off the press, this is my eighth golf-related book design. 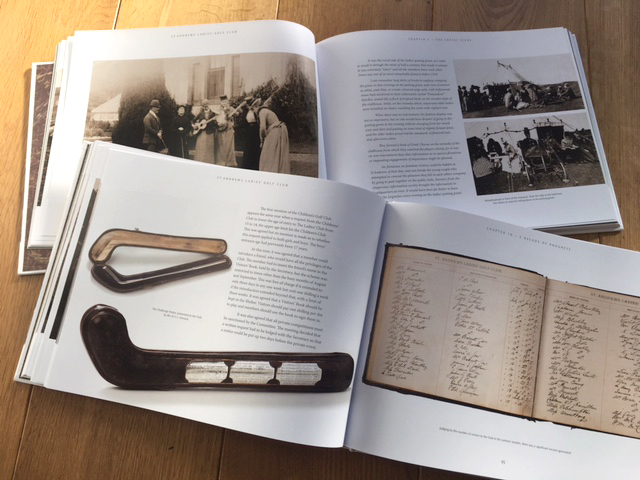 With over 50 beautifully enhanced old sepia photographs of women, men and children putting, most of which have rarely been seen or previously published, the book takes us back to a time when putting and, indeed, golf was a male-only domain. 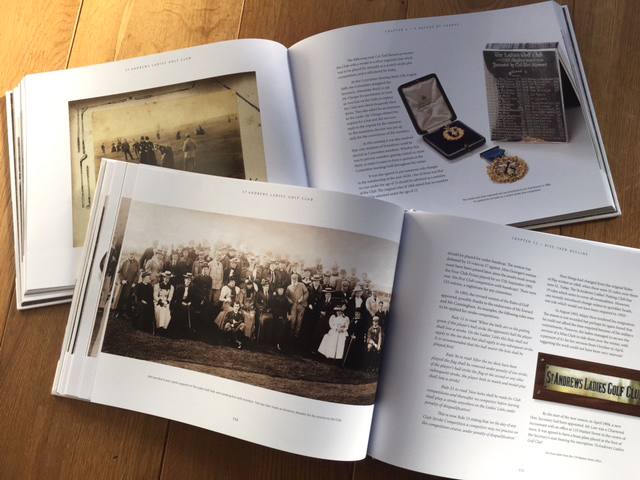 The Club’s numerous record books and members’ diaries have provided Seonaid with pages of interesting information and images, while colour photographs of the many prizes that have been presented to the Club over the years are beautiful and varied. 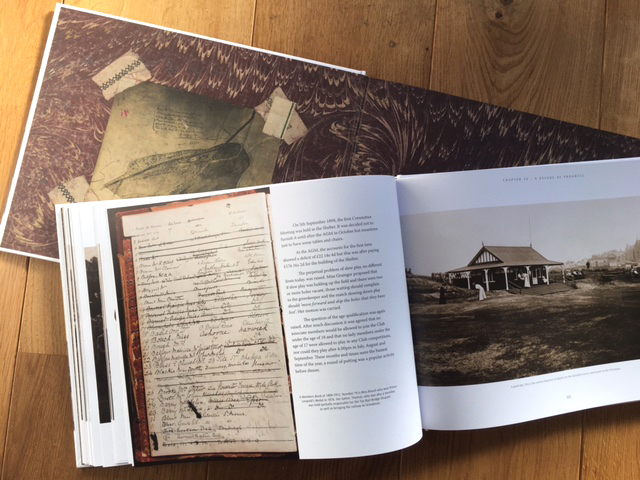 The book is brought up to date with colourful images of the Clubhouse, its members and its world-famous course, the Himalayas. Well worth a read.